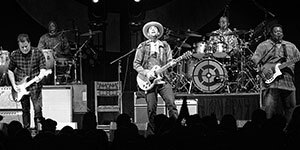 Ben Harper and the Innocent Criminals performed August 25th to a full house. They opened with "Gold to Me" from Ben’s 1995 album entitled Fight for Your Mind. With his guitar resting horizontally on his lap, Ben sat for the first few songs. They’re touring through the end of September with their last gig in French Polynesia. 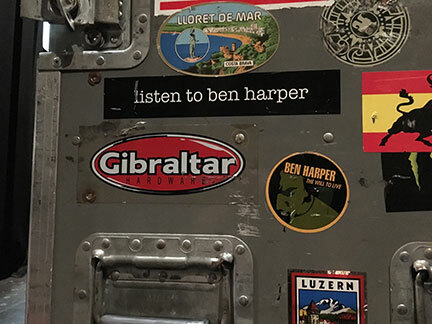 Prior to the show, I wasn’t too familiar with Ben’s music. A google search got me intrigued with his eclectic musical style listed as a mix of blues, folk, soul, reggae, and rock. Ben said some things happen in life which make you appreciate it and he acknowledged the power of the unconscious mind. While the night was interspersed with some philosophy, it was the music that spoke volumes. With "Like a King," a tribute to MLK and "I’ll Rise," his music brings civil and societal issues to the forefront. He supports several organizations that are listed on his website. During the show he mentioned speaking up about issues especially when someone has a microphone like he does. He gives off the impression that it’s his duty to talk about what’s wrong with society; he cares deeply about humanity. He attended a Bob Marley show with his father when he was a young boy. It seemed that show introduced him to another world as he said “reggae is pure happiness.” They sang the reggae song "Finding our Way," making everyone in the house happy. Throughout the night, people danced and shouted out their admiration for these talented musicians. Percussionist Leon Mobley joyfully played the drums as he jammed along with his bandmates for a show the crowd absolutely loved. Ben dedicated "Burn One Down" to Leon, adding to the drummer’s joy. "Diamonds on the Inside" was dedicated to New Jersey and Ben mentioned Bruce Springsteen once visited his dressing room during a Belgium tour, remarking how cool it was that Ben’s wife was from Jersey. His penultimate song was Bruce’s "Atlantic City." For the encore he was joined by the New Jersey band Jack Moves for the David Bowie/Queen hit "Under Pressure." Ben said if we never heard of the band we would surely hear about them soon, indicating their mega talent which was evident as we glimpsed it. Musician Tom Freund warmed the stage up for the band. He played the guitar, ukulele, and harmonica! His song set included "Sympatico," "Next Time Around," and "Collapsible Plans." His smooth voice and lyrics were comforting and intriguing, a perfect start to a great evening. The band’s heartfelt lyrics and love of music made the night an exquisite one. I’m happy I got to see them perform; they have a down to earth vibe and appreciate their fans. I look forward to seeing these talented musicians perform in the future. 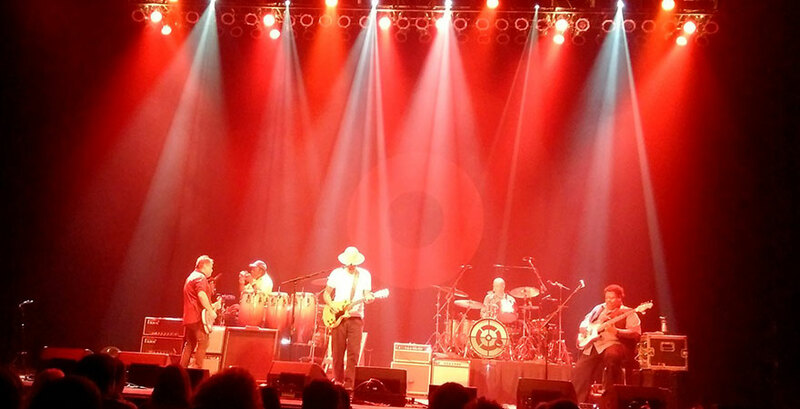 Who are Ben Harper and the Innocent Criminals?